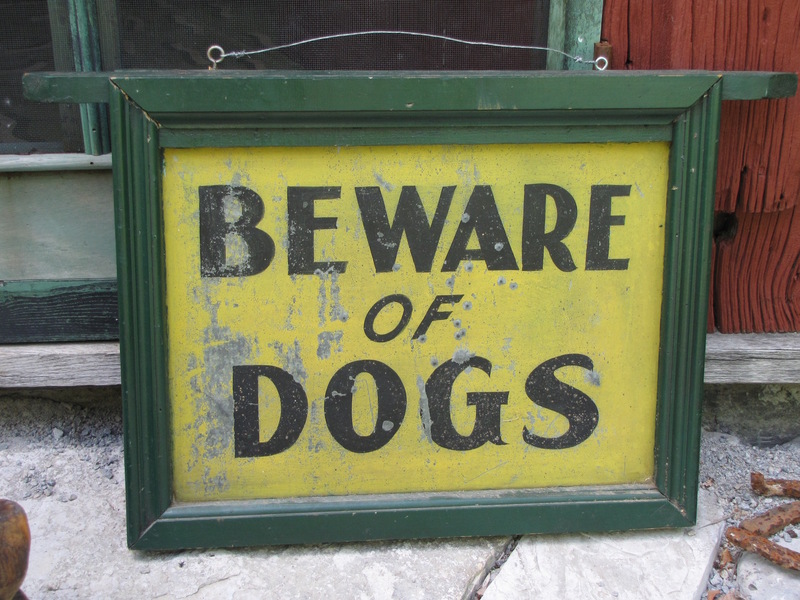 I came home with a dog yesterday but he seemed to dislike the sign at the front door. This must explain the shocked look - or he wants food. 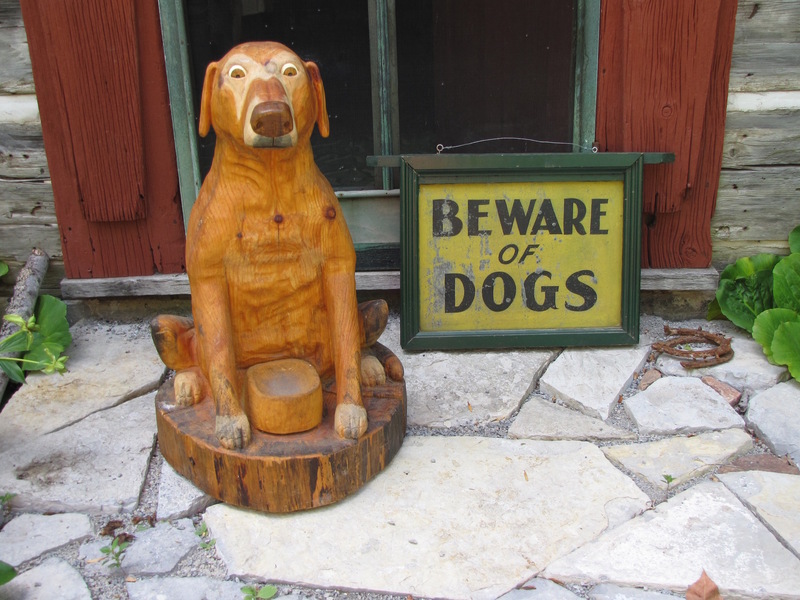 The dog carving is wonderfully whimsical and a joy; signed DC and dated 2010. The sign is from the 1950's, double sided, tin and in it's original wooden, green painted frame - found in the Belleville area. 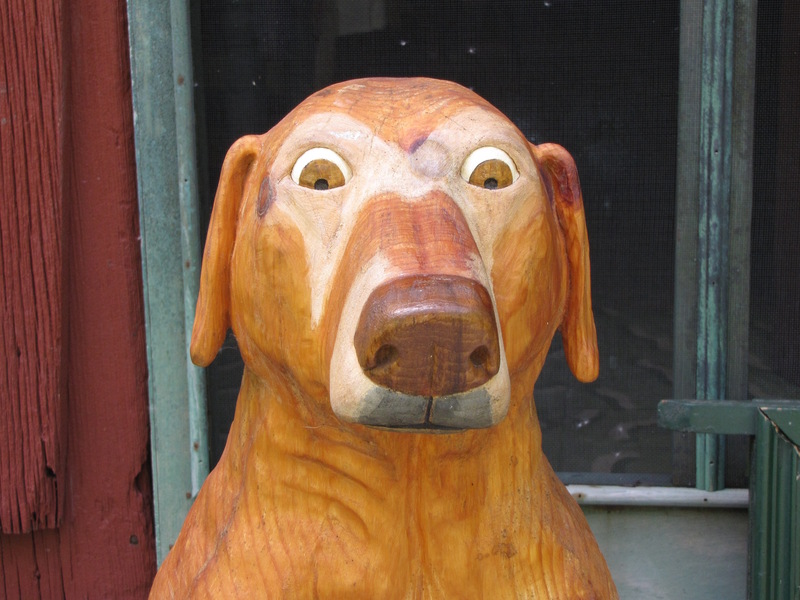 Dog .... has gone to a new home.